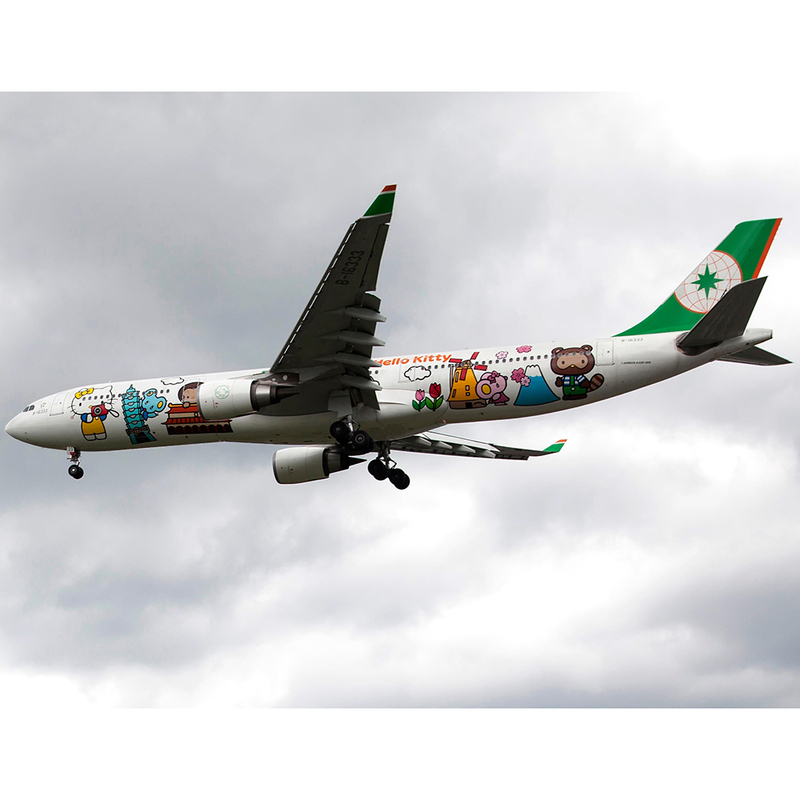 Not only will the planes’ exteriors feature the cartoon cat, inside they are loaded with features that will calm the nerves of stressed-out travellers who fly the Sanrio skies. In addition to cheery pink and white Hello Kitty pillows and seats, the planes offer in-flight text messaging, roaming service options and wi-fi. Also, when you (or the 9-year-old relative you're traveling with for socially acceptable cover) get hungry, meals arrive packaged in Hello Kitty bento boxes. Available exclusively between route between Houston and Taipei, this four-times-a-day-flight can carry 333 passengers, including 39 in EVA’s Royal Laurel Class business section, where passengers will find fresh sets of pajamas. No word on whether they'll be Kitty themed or the standard-issue first class variety.